Bacary Sagna's interview with L'Equipe yesterday caused quite a stir amongst the faithful and rightly so. It had a theme that we've become familiar with over the past couple of years. A theme that usually culminates in the subject exiting the club sooner than later. Just to be clear, Sagna did not say anything different from what Arsenal fans, football pundits and any followers of the Premiership for that matter have not said in the past few years. Each answer to the questions that was posed was an understatement. "You return from holiday, you're preparing, you see two players leave the club ... It's been like that since I have been at the club. I'm used to it. "I'm the only player from the line-up in 2007 still present. In May, I watched Manchester City's Premier League trophy parade on TV. I saw Samir and Gael lift the trophy. I want that feeling." Like I said Sagna only reiterated what everyone and all their brothers have been saying for a while now. We can say it without fear or favour, no one can reprimand or sack us from being fans. Question is should Sagna have said it? I think not. He is an employee of the club and you don't question your employer publicly like that unless of course you've had your fill and you're ready to roll. I'm inclined to believe that this is the case with Sagna. Like a couple of others before him, he's become disillusioned with the overall direction of the club and yesterday's interview was the beginning of his exit gambit. On the 29th of July this year while Per, Poldoski and Sagna were in Lagos, Nigeria to participate in promotional activities with regional partners Airtel and Malta Guinness, I had the opportunity to attend an interactive session that saw the trio take questions from fans and I wrote here about my admiration for the way they deflected questions that would have necessitated airing their personal dissatisfaction with the way things have been at the club. Of the trio, Sagna was the longest serving squad member and his English much better than the others so most of the questions were directed at him. "Sagna, will you leave Arsenal if the likes of Manchester City offered you good money? ", one fan asked. "If it was all about money, a few of us would have left ages ago," Sagna replied. Sagna's response while seemingly suggesting that he wasn't motivated by money (like they all say) left open the interpretation that other factors could motivate an exit. I got the impression from that session that players must receive some kind of training on how to manage the expectations of fans and media people when faced with questions that can put the club or even the player in bad light. And Sagna did a damned good job that evening of deflecting the questions that were directed at him and took on the responsibility of shielding his less experienced colleagues as well (the way Thierry Henry protected Fabregas in this post match interview). This is why I don't think Sagna's answers to the questions in that interview are being misunderstood, misread or even over-hyped. 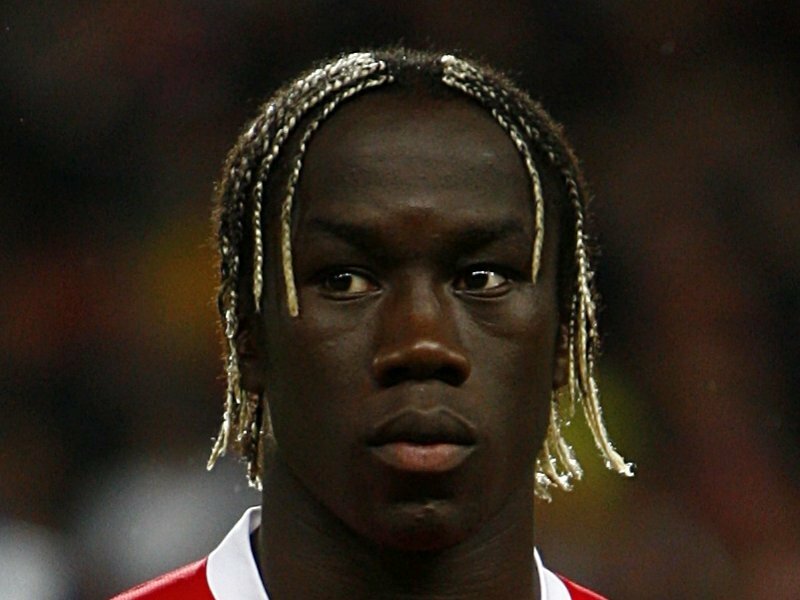 The amount of Arsenal bloggers hyping this Sagna thing is ridiculous. It's my guess that the next big player exit from Arsenal has began with that interview. How it ends is absolutely up to whether Arsene is out of that manic mood he was in during the transfer window that saw him determined to rid the club of any players with disruptive influences. I think so because there isn't much difference between RVP's infamous statement and the Sagna interview -they both questioned the club's motives openly. Sagna is 29 years old, is recovering from a broken leg and will be in the last year of his contract at the end of this season by which time he will be 30 years old. He is also one of the top three right backs in football by my reckoning and he probably reckons so too. "For now, I just want to play again and get back to a good level with Arsenal. After that, we'll see ..."
It's cynical but I read that statement to mean he wants to get back to playing now to show any potential suitors that he's still the Bacary Sagna. He needs to get back to playing to show he's still fit as a fiddle and then WHAM! BANG! Thank you Arsenal for having me. You might argue that he breaks easily but RVP was worse and still attracted top dollar. Like my friend pointed out Ferguson over at United has been in the market for a top class right back and he's shown age and injury records don't stop him when he spots his man. Experience has taught me that given Sagna's age, injury records and contract situation, Arsenal will be open to offers. Much like during the Summer break, the international break has deprived us of much football to report on so soap operas like Sagna's and that Ronaldo boy over at Madrid takes center stage. Ronaldo expects his team mates, the club hierachy and team officials to sing him Willie Nelson's "You're always on my mind" before, during and after every game now otherwise he will not be happy. But it's the age of over-pampered superstars so what to do? Anyway the first of the international games will be played tomorrow with Nigeria's Super Eagles taking on Liberia away in Monrovia in an AFCON 2013 qualifier. Here's wishing our homeboys luck. really dont understnad what 's going on at Arsenal. how difficult can it be to tie a player down to a contract.every year we lose key players. is this wenger's fault or just administrative lapses at the club?